Demand on the new weapons technology for the Elite Harbin Z-9W was so high, Gundar Arms Industries has decided to expand it’s inventory tenfold. 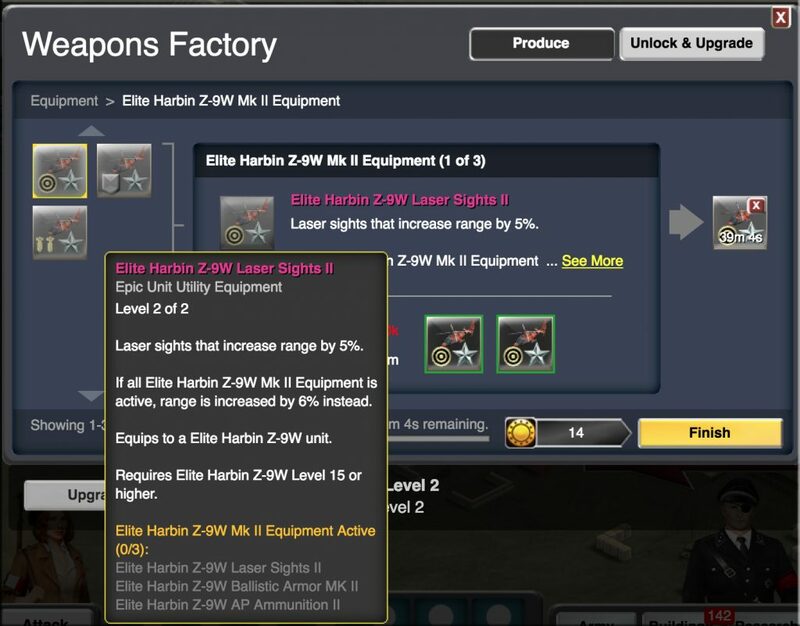 In addition to the Z-9W Equipment that was made available last week, 2 new sets are now available by purchasing Level 1 sets in the ONP Store and combining parts to make Level 2 sets! *Collect the entire set to boost your Unit Equipment bonuses even higher! This week only, receive +50% extra ONP from Single-Player bases in the Menace event. Bonus loot ends Thursday, June 21! ← TR: Episode #4 of MacGyver7th’s Journey Into Gundar Starts Now!